* Car Hire Sydney | Looking For The Most Affordable Car Rental Option? We Have The Right Rental Car & The Right Car Hire Deal For You! 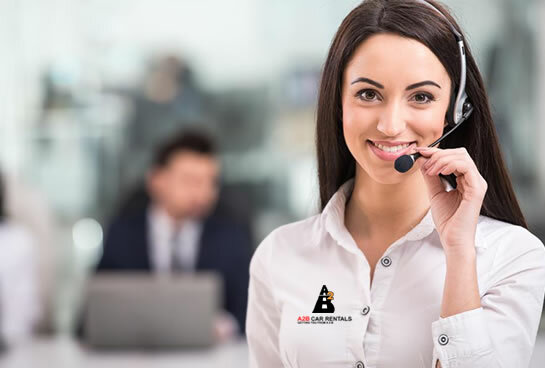 A2B Car Rentals not only provides you with some of the cheapest car rental rates in Australia but also excels with the additional customer service not provided by our competitors. A2B Car Rental is an Australian owned car rental company. It is Australia’s fastest growing car rental company. A2B Car Rental is about providing reliable vehicles and providing quality customer service, at an affordable price. Founded in 2005, A2B head office is located in Sydney, Australia. Our Car Rentals is bolstered by local expertise and low overheads which allows us to offer competitive car rental rates. Booking your car rental in Sydney is fast, efficient and easy with A2B Car Rentals. In such a short time, we have already been recognised and awarded by Tourist Australia as the “Best Value Car Rental Company” for our competitive rates and excellence of service in Australia for the year 2005. Great service and excellent people. Good cars they have and it was clean and comfortable. Absolutely hassle free and easy to deal with. They set a benchmark other car rentals can learn from. And pricing is absolutely cheap. Best rental services in Sydney. Will use (only) them in future and highly recommended. Last minute I needed a 7 seater car. I jumped online & typed in 7 seater car rental parramatta area & a2b car rentals popped up. I phoned up & within 5mins max I had a booking for that Afternoon in a Toyota Kluger. I was greeted by a helpful worker & the vehicle was all ready to go in the driveway for me. Car was in immaculate condition & was a top of the line Kluger which drove beautifully. I have dealt with other hire car companies before but not like these guys . They were absolutely amazing. customer service at its best and top quality cars . dealing with Sri made everything possible and too easy and overall was very very helpful. I will highly reccomend these guys and their cars to anyone . I will never go anywhere else.. thanx Sri and all your help and to all the other guys too. A2B Car Rental is an Australian owned car rental company. It is Australia’s fastest growing car rental company. A2B Car Rental is about providing reliable vehicles and providing quality customer service, at an affordable price.